The decision to straighten your teeth affects not only the appearance of your smile, but your lifestyle as well. At first impression, people associate straight teeth with good overall health and hygiene. As an adult, you may wish to enhance your smile for business or social interactions. Or, perhaps you’re a teen looking for a trendy, modern alternative to metal brackets and wires. Invisible braces for teens and adults allows you to enjoy all the benefits of straight teeth without putting your lifestyle on hold. Invisible braces are an orthodontic treatment that uses removable alignment trays to straighten teeth. Your dentist in La Grange, IL will fit you with custom-designed alignment trays that slowly shift your teeth into the desired position. Every few weeks, you will receive a new set of trays until your teeth are perfectly aligned. The trays are barely visible in your mouth – your friends, family and coworkers may not even notice they are there. The smooth plastic surface will not scratch or damage the inside of your mouth and you can remove the trays for eating, cleaning, and special occasions. 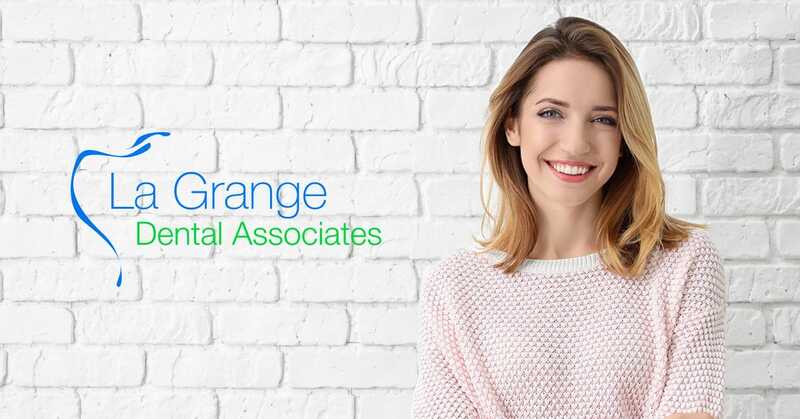 Schedule a dental consultation with your dentist at La Grange Dental Associates to find out if invisible braces are right for you!